It’s all about Mom today at the Paper Players. 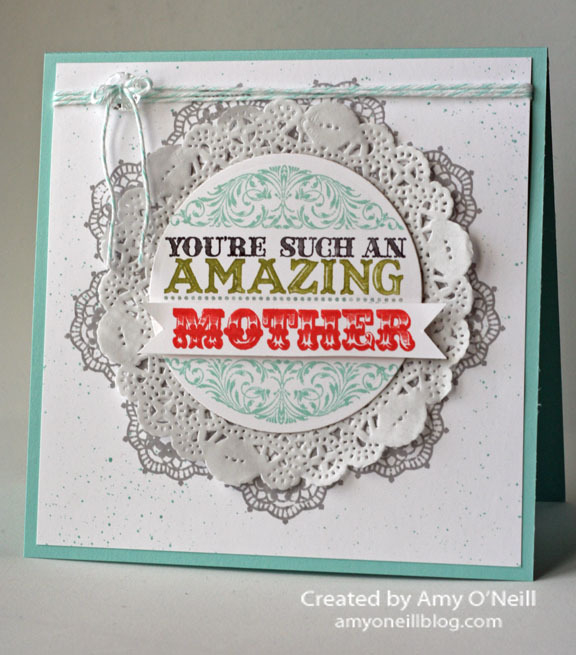 Now, I know that Mother’s Day is next Sunday, but for those of us who need to get a card in the mail pretty soon in order for Dear Mom to receive her card on time, it’s a good thing that Anne Marie Hile made this challenge for us today. I was inspired by a picture of a beautiful shower curtain I saw in a Garnet Hill catalog recently. I tore out the page and pasted it in my inspiration notebook. The gray on this card is actually one of the new colors, Smoky Slate. It’s such a pretty gray. It almost looks silver on the white card stock. 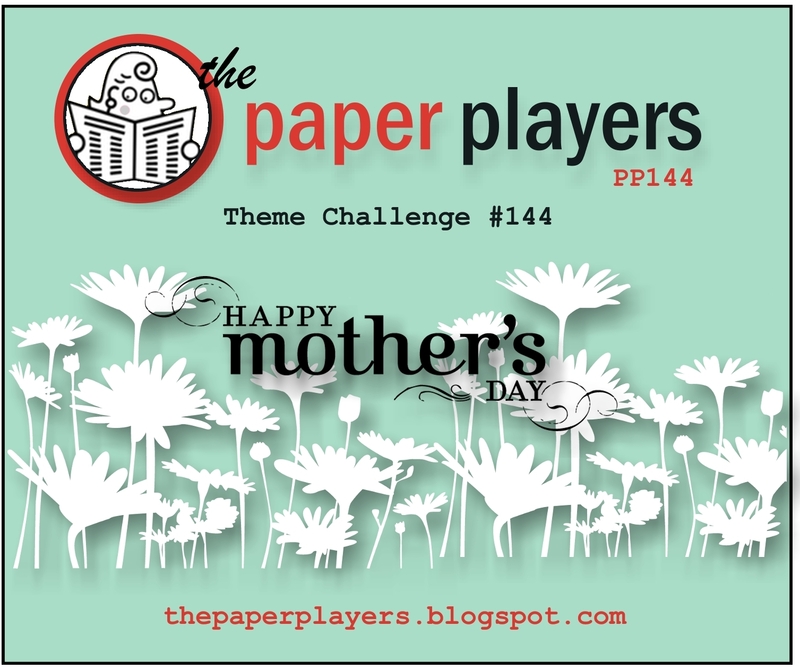 This entry was posted in Amazing Family, The Paper Players. Bookmark the permalink. This is so pretty! Love how you stamped the Hello Doily and then layered the paper doily on top! Love the pop of Calypso Coral on the sentiment! Gorgeous! What a pretty inspiration photo and I love your interpretation of it! Those colors are so trendy together! Amy, you’re not going to believe this but…I have that SAME catalog page on my desk AND I almost used it for this challenge!! How crazy is that? 🙂 There’s always such great inspiration in Garnet Hill. 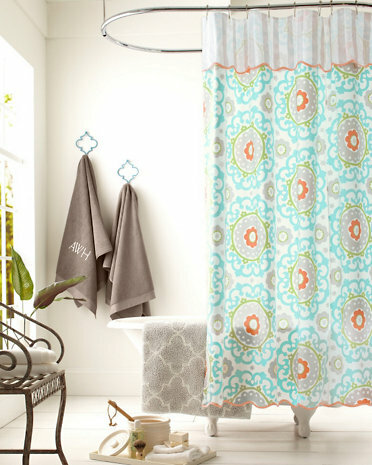 The shower curtain is gorgeous–love the colors and patterns–and I love your interpretation of it. Smoky Slate does look like silver and I love how you’ve backed the paper doily with the stamped one–genius! Oh, wow, Nance! That would have been funny if we had such similar cards. I must be doing something right if I am gravitating to some of the things that inspire you, as I always love everything you make. Your card looks just like the inspiration photo, Amy! The doily on a doily looks great, as does the spritzing on the background. Not giving up my spritzer, LOL!